From June 18 to September 23, 2018, London’s Hyde Park will host Christo and Jeanne-Claude’s newest installation: The Mastaba (Project for London, Hyde Park, Serpentine Lake). The temporary sculpture takes cues from mastabas of the first urban civilizations of Mesopotamia, which were mud benches with two vertical sides, two slanted sides, and a flat top. Towering at 20 meters high, its 500 tons anchored to the Serpentine Lake, this waterborne project will gather 7,506 painted oil barrels to create a floating mosaic of red, white, blue, and mauve. 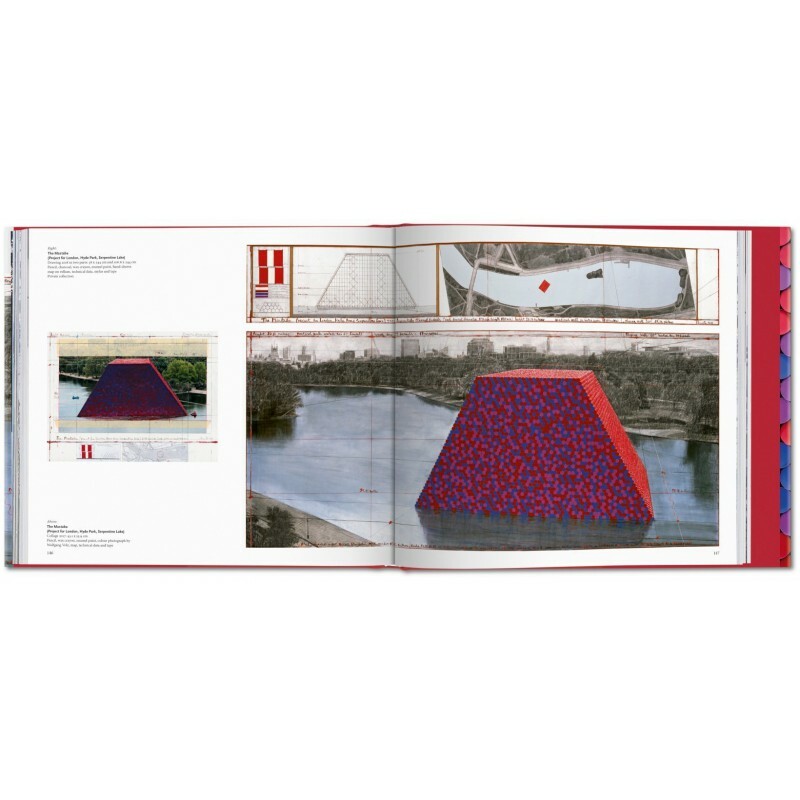 The most ambitious of Christo and Jeanne-Claude’s barrel works to date, The London Mastaba is a precursor to the duo’s work in progress The Mastaba (Project for Abu Dhabi, United Arab Emirates). 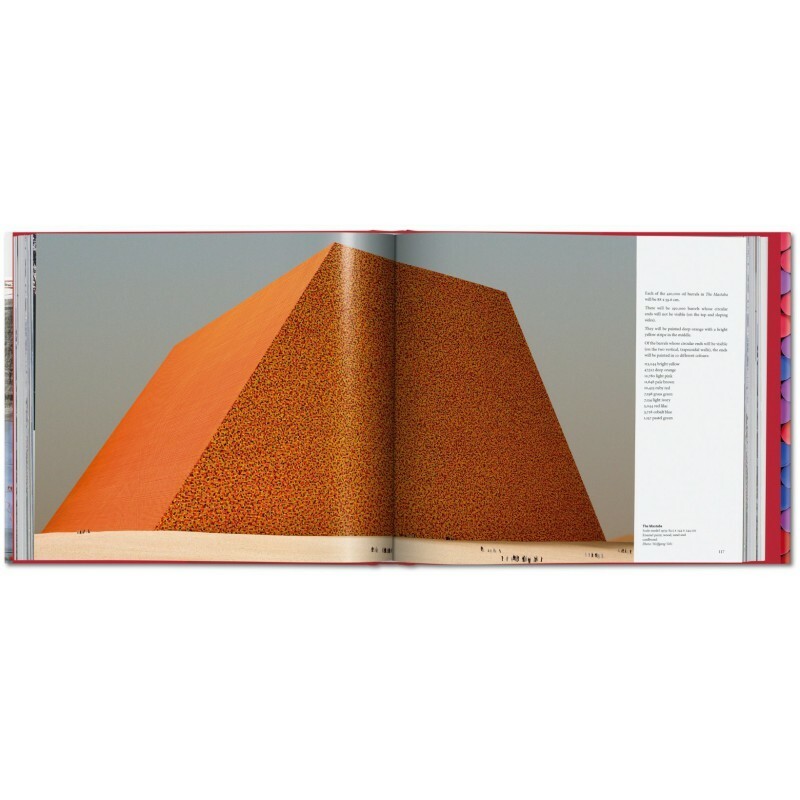 First conceived in 1977, The Mastaba for Abu Dhabi, if realized, would be Christo and Jeanne-Claude’s greatest achievement and only permanent large-scale work. Situated in the desert and made of 410,000 multicolored barrels, the 150-meter-high sculpture would be the largest sculpture in the world, rising higher than the Great Pyramid of Giza. 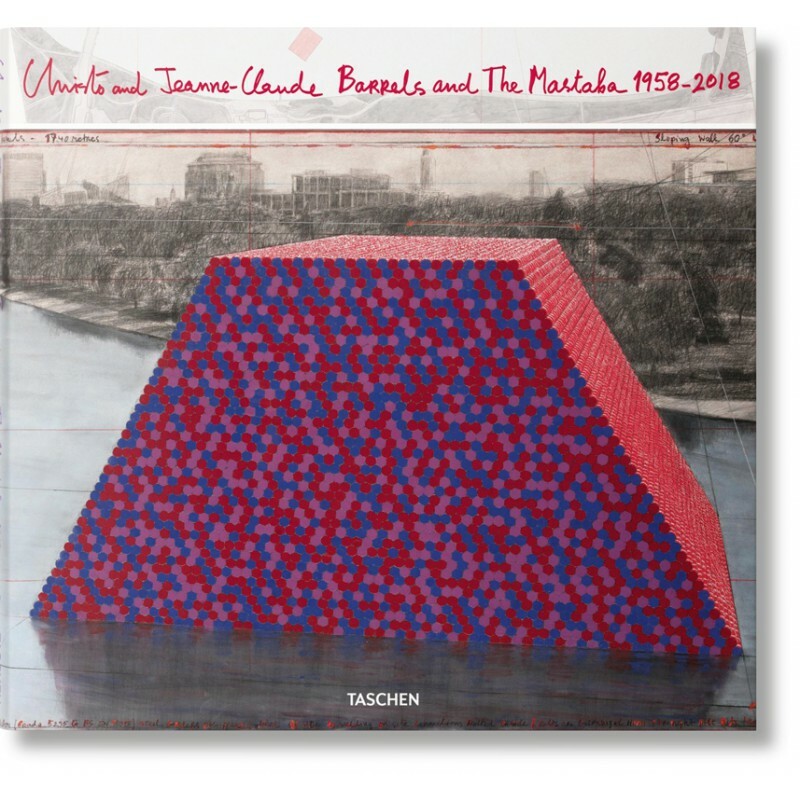 Through drawings, collages, photographs, sculptures, and scale models, this book traces the 60-year trajectory of Christo and Jeanne-Claude’s interest in the form of the barrel and the mastaba. A coinciding exhibition at the Serpentine Galleries is curated by Hans Ulrich Obrist and Melissa Blanchflower with Joseph Constable, in close collaboration with Josy Kraft and Christo’s studio. 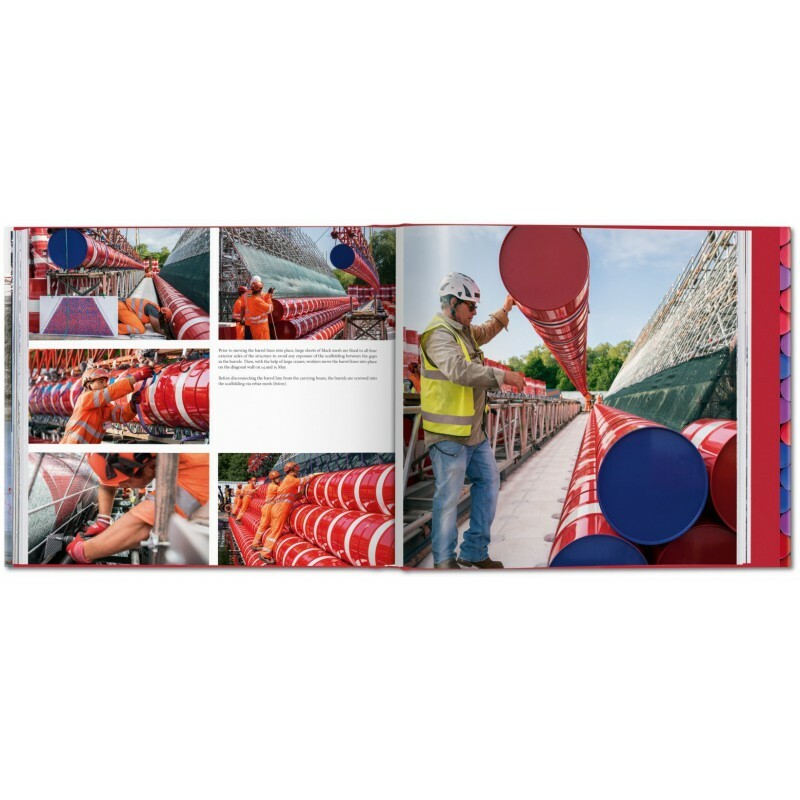 This book, designed by Lorenza Giovanelli and Christo himself, spans Christo and Jeanne-Claude’s history of barrel artworks from 1958 to 2018. 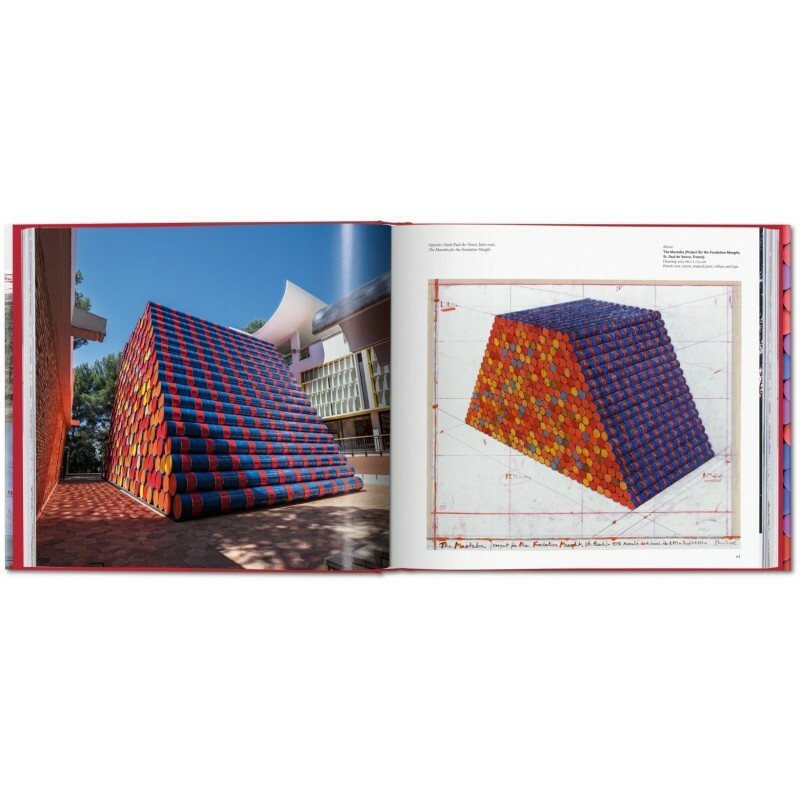 It includes Christo’s earliest preparatory drawings and most recent works, gathering photographs by Wolfgang Volz, maps, technical data, and drawings, many published here for the first time. 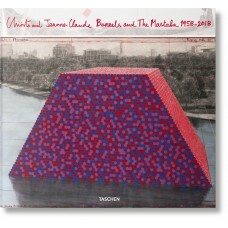 Christo and Jeanne-Claude began their collaboration in 1961, and have lived in New York City since 1964. Jeanne-Claude died in 2009. Their large-scale projects include Wrapped Coast, Australia, 1968–69; Valley Curtain, Rifle, Colorado, 1970–72; Running Fence, Sonoma and Marin Counties, California, 1972–76; Surrounded Islands, Biscayne Bay, Florida, 1980–83; The Pont Neuf Wrapped, Paris, 1975–85; The Umbrellas, Japan–USA, 1984–91; Wrapped Reichstag, Berlin, 1971–95; Wrapped Trees, Riehen, Switzerland, 1997–98; The Gates, Central Park, New York City, 1979–2005; and The Floating Piers, Lake Iseo, Italy, 2014–16. Wolfgang Volz has worked with Christo and Jeanne-Claude as the exclusive photographer of their works since 1971. He was also project director (with Roland Specker) for Wrapped Reichstag and (with Josy Kraft) for Wrapped Trees, and was in charge of The Wall – 13,000 Oil Barrels, Gasometer Oberhausen, Germany, 1998-99 and Big Air Package, Gasometer Oberhausen, Germany, 2010-13. 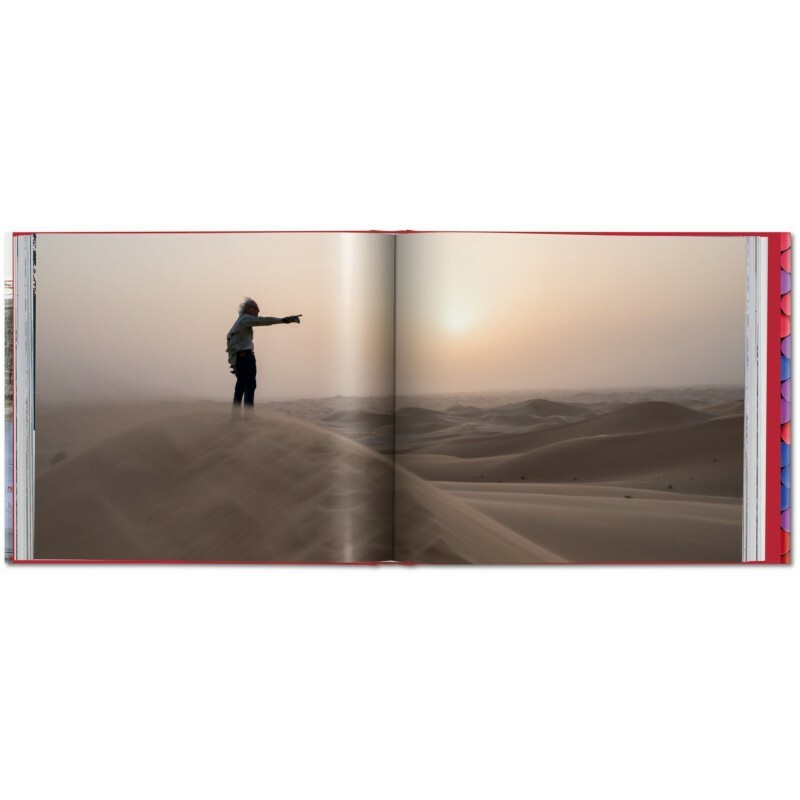 His close collaboration has resulted in many books and more than 300 exhibitions in museums and galleries around the world. Hans Ulrich Obrist (b. 1968, Zurich, Switzerland) is artistic director of the Serpentine Galleries, London. Prior to this, he was the curator of the Musée d’Art Moderne de la Ville de Paris. Since his first show “World Soup” (The Kitchen Show) in 1991, he has curated more than 300 shows. Obrist’s recent publications include Mondialité, Conversations in Colombia, Ways of Curating, Somewhere Totally Else, and Lives of The Artists, Lives of The Architects. Paul Goldberger is the Pulitzer Prize-winning architecture critic of The New Yorker, where, since 1997, he has written the "Sky Line" column, and is the author of several books, including Why Architecture Matters (2009) and Christo and Jeanne-Claude (2010, for TASCHEN). He lectures widely on architecture, design, historic preservation and cities, and has taught at both Yale School of Architecture and the Graduate School of Journalism at the University of California, Berkeley. Adam Blackbourn has been a member of Christo and Jeanne-Claude’s working family since 2006. In addition to his work as an artist and writer, he and his partner Ruei Ji run the Chinese-to-English translation studio Bacon Translations. 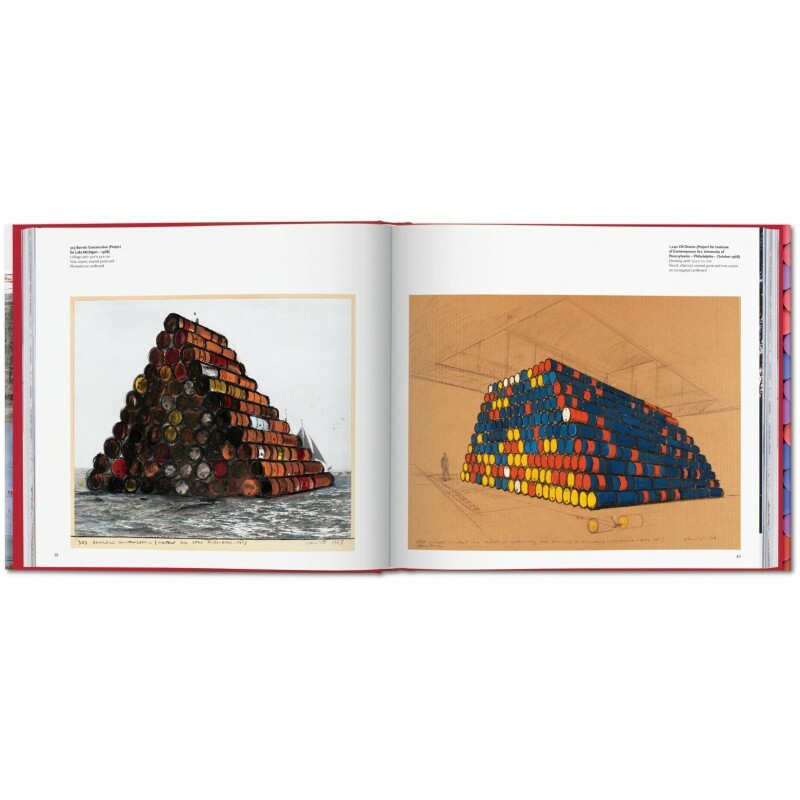 He has collaborated on numerous publications about Christo and Jeanne-Claude. Lorenza Giovanelli studied art history at the Università Cattolica del Sacro Cuore in Milan. In 2016, she worked as office coordinator and press office assistant during Christo’s last major project The Floating Piers. In 2017, she joined Christo’s team in New York. Erin Bazos is a New York-based graphic designer and creative director. Since 2010, she has worked with Christo on a variety of projects, including website and exhibition design, print collateral, and multiple facets of The Floating Piers, from the workers’ uniforms, to stationery and tourist maps, to the project book in collaboration with TASCHEN.